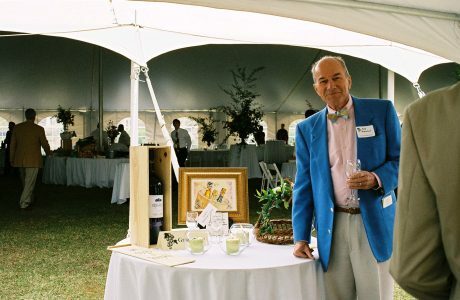 The Tar River Wine Festival has become one of the preeminent charitable events in Eastern North Carolina, raising about $35,000 each year. The Futrell-Mauldin Community Fund utilizes this event to donate approximately fifty thousand dollars each year to charitable organizations in Nash and Edgecombe Counties. The mission of the Futrell-Mauldin Community Fund is to make a significant and lasting difference in the lives of the citizens of Nash and Edgecombe Counties. The Futrell-Mauldin Community Foundation has supported a variety of nonprofit organizations in the Greater Rocky Mount Area for almost 20 years through over $750,000 in grant funds. Providing direct financial resources to support a wide variety of community needs including education, health, social services, arts, civic affairs, and the conservation and preservation of historical, cultural, civic and environmental resources. Serving as a vehicle for giving, allowing citizens with varied charitable interests and abilities to have an opportunity to invest in the community’s quality of life and its future. Building and maintaining permanent endowment funds of approximately $1 million for the benefit of the community. Educating citizens and involving them in charitable giving. This year, now more than ever, giving is crucial to help our community nonprofits that have suffered a decrease in annual donations.